"I would recommend Karina to everyone. I was very happy with my treatment and I felt that my experience was excellent! All the staff were lovely too." "To Karina & her 'magic Wand'. I never expected to be like Oliver Twist at the dentist and "ask for more" but I did and so happy I made that decision. My teeth are amazing thanks to your Wand and you of course! It was a completely painless experience and I would recommend to anyone. 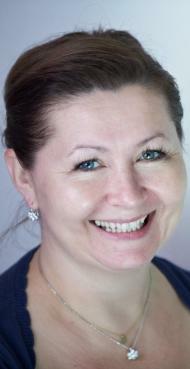 So thank you Karina very much"
"Many thanks to Dr Karina for excellent dental care. Such a lovely person and profesional dentist. Can recommend her to anyone without a doubt." How wonderful at last to almost enjoy(!!!) a visit to the dentist. Such a relief to have no pain during treatment or check-ups . Karina is thorough & puts me at ease immediately. Everyone is so pleasant & courteous. Thank you." "It was a pleasure to come to the dentist, no pain, good service and lovely staff. I didn't have chance to experience 'The Wand'. Thank you Karina you are a great asset to this village."